"Minerva, when will the Portland posts end?" Probably with this one. I'm pretty bad about getting updates out about places we've traveled too since there is so much happening around these parts too. One post that I have been meaning to get together is a round-up of some quick stops we made in Portland that don't necessarily warrant a standalone write-up BUT are worthy of mentioning. Surprisingly, most of these spots are also in the same area so you could, if planned right, visit every one of them in the same day! I do have to say that we really enjoyed being in Portland for all of the food we found there and the culture overall but if you could only do a few things, you might want to consider these. If we're thinking about how to start your day, breakfast could come to mind. Portland has gotten quite the reputation for its Voodoo Doughnuts, and the iconic pink box makes its way into the airport frequently. 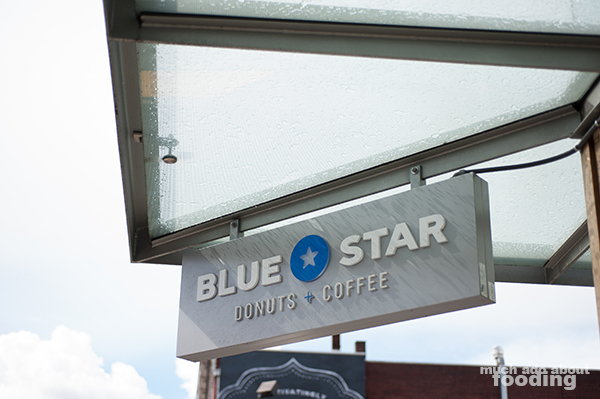 However, when we snooped around, we found out that a lot of locals dig this place called Blue Star Donuts which has multiple locations in the city. Curious, we went to check it out and miraculously managed to get ahold of the last doughnut of the day...at noon-ish. They do run out! Perhaps their limited supply is due to the quality ingredients they use to put together the glazed treat. Made from a French brioche recipe from scratch and containing organic, local ingredients, the donuts seem fried with love. 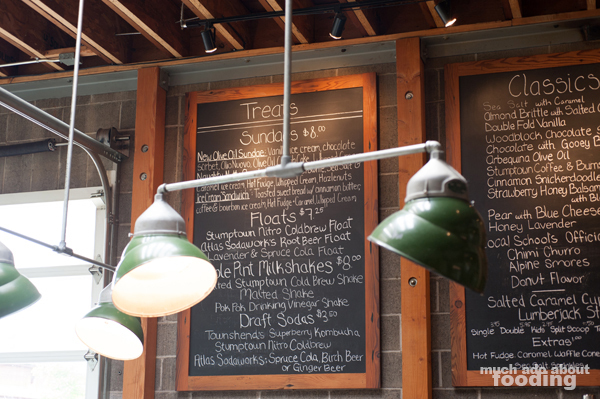 It's a fun place to venture into as well with clean-cut decor and chalk art. 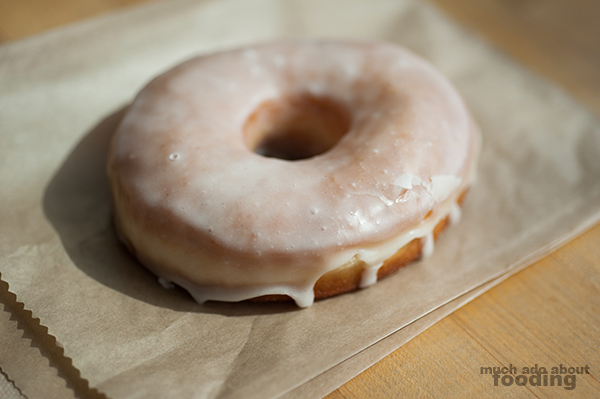 Get yourself a regular glazed donut and then any of their seasonal/daily specials. NOT a food place but I cannot hide my love for literature and books in general. 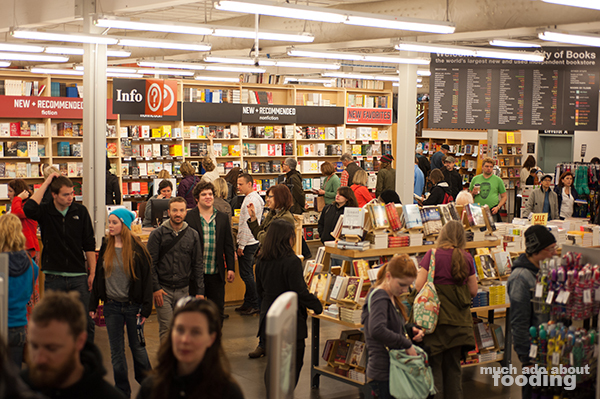 Considering the proximity to other main attractions in Portland, I have to mention Powell's Books located at 1005 W Burnside St. between 10th and 11th Ave. Portland, OR 97209 because it is amazing. 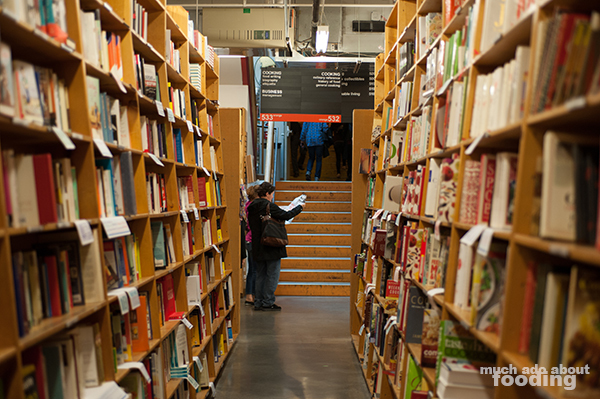 More than a million books reside in this store that spans nearly a block. With the increase in attention to food, the store has dedicated an entire section to this love so you can get lost in the covers of gastronomy and culinary history. Duc put a book buying maximum on me before I stepped inside but I have to admit...I bought more than that in food-centric books alone. Whoops! 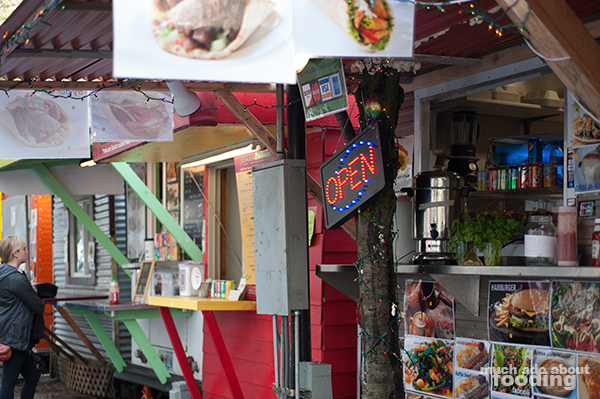 Food Cart Pods - Breakfast, Lunch, Dinner, Everything! 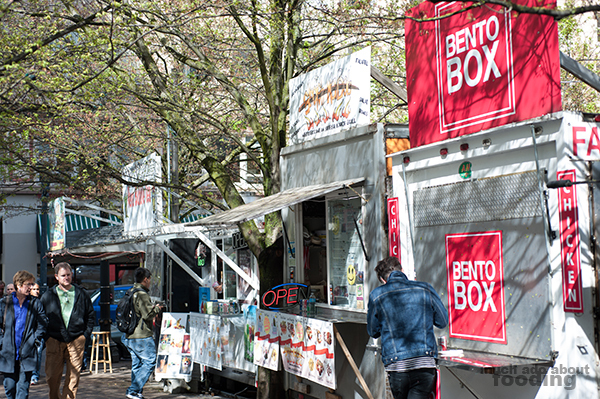 They exist in several spots throughout Portland - these pods of stationary food shacks that operate with a limited menu (well, some are extensive) and usually with something eclectic. 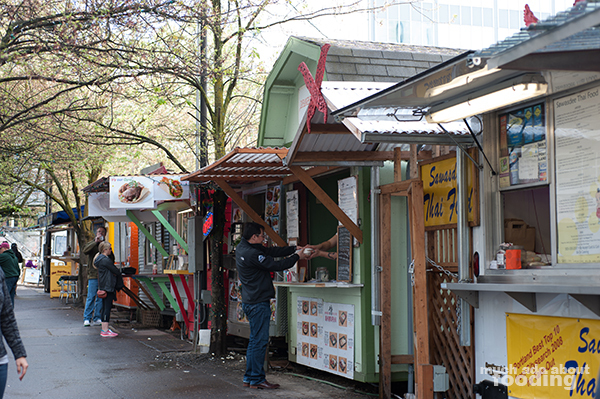 Near to Powell's though is the Alder Food Cart Pod at SW Alder St and SW 10th Ave which is home to several of the more famous food carts. 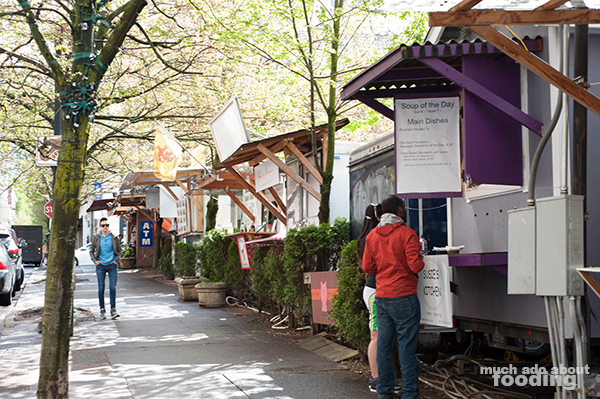 They call them food carts but I think they're more like shacks. This particular one runs the gamut of international cuisine. We saw Egyptian, Thai, Spanish, Southern, African, Japanese, Greek, and so many others all in this one pod. 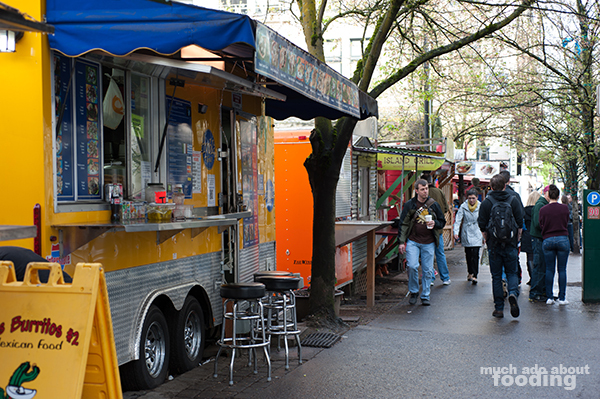 Imagine a street block with food carts on all sides, the middle part of which is just a gathering spot for the food cart vendors to relax in. There are certainly too many carts to try so make your decision wisely. Walk around a few times before you purchase something because there will undoubtedly be plates that catch your eye. 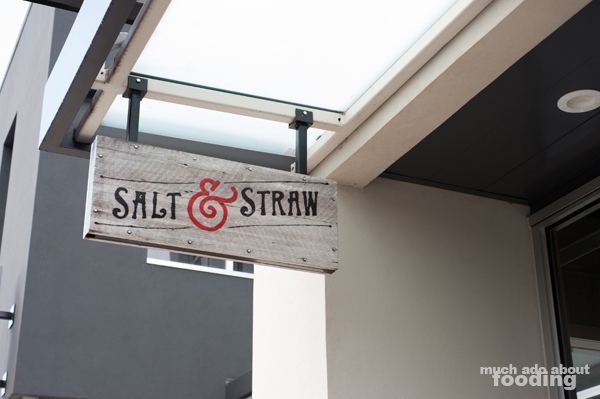 If you say you don't like ice cream, you're lying (except if you're allergic...) but if you really aren't lying, maybe you should give Salt & Straw a try. 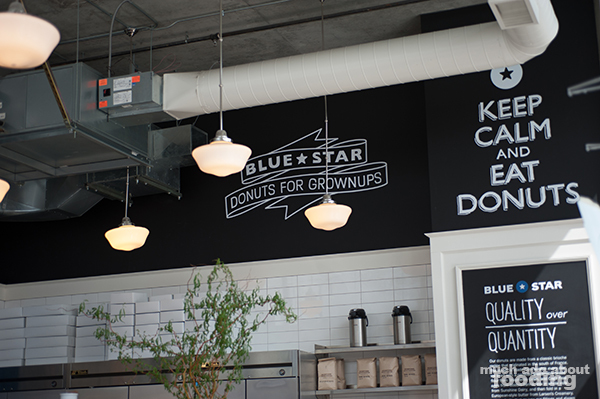 They have multiple locations around Portland and even one recently in LA (yippee!) where they serve up small batches of homemade goodness. There are often lines that wrap around the street corner of people wanting to get some Salt & Straw ice cream for the day. Creamy and with quality ingredients, the ice cream comes in a variety of flavors that can range from classic favorites to experimental combinations. We got a mix of olive oil ice cream (yep, it's real and it's delicious) with strawberry balsamic vinegar ice cream. It only seemed natural. 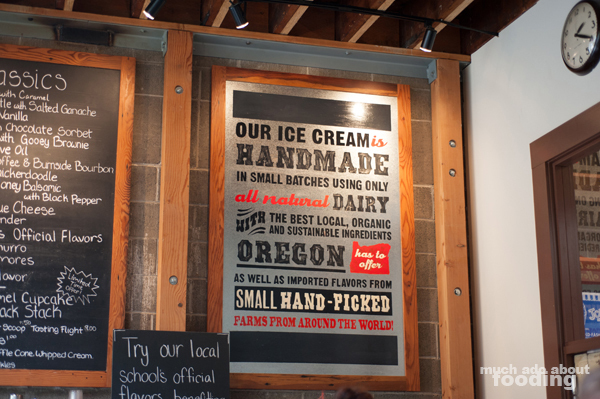 I suggest you get some Salt & Straw too, rain or shine. Just be mindful of lines that can form if the weather is right! Portland possesses the most craft breweries per capita than anywhere else in the US. Isn't that amazing? So why wouldn't you stop at a craft brewery on your trip? There are plenty to choose from, and I don't want to list one over the other here because we didn't get to explore them all. However, we did make it a point to visit several and wherever you are, there will surely be one nearby. 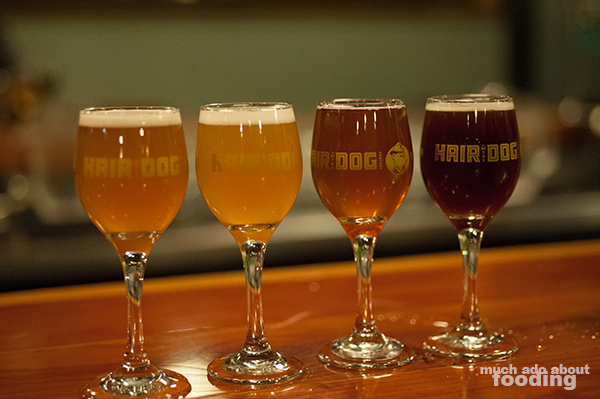 One of our stops included going to Hair of the Dog Brewery at 61 SE Yamhill St, Portland, OR 97214 which is practically in a warehouse/industrial area. They offered tasting flights as some of them will which is a fantastic way to try out a variety of their brews on draft. Rogue is where we purchased our specialty stout glasses that we greatly cherish, and that was located down a street packed with other breweries. There are so many options so make sure to put craft breweries in your itinerary! There is much more to Portland than those five stops mentioned above so make sure to do your research before you head on over to the gorgeous Pacific Northwest. We found a marvelous sustainable sushi restaurant there, the best chicken and waffles we've ever had, and other praiseworthy joints but let's get you started with these five suggestions above first, shall we? Photography by Duc Duong. 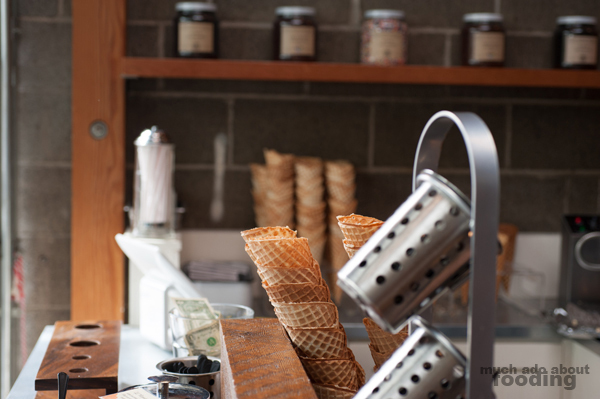 More stories about Portland and all its goodies here.